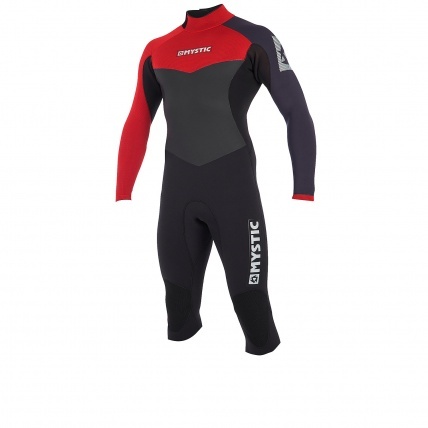 Mystic Drip 4mm short leg Bordeaux is a super practical wetsuit for kitesurfing in the UK. Easy to get in and out with the short legs it keeps the upper body warm and the windchill off when riding. It is practical for when the water moves from winter temp right into the autumn. But it gives better insulation than just a long arm shorty with the thicker panels and longer legs. 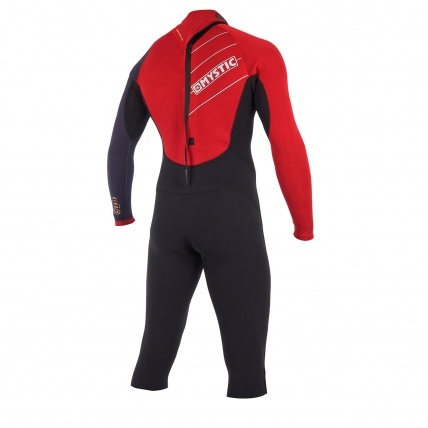 Tech wise it still has Mystic's super flexible and soft touch M-Flex neoprene with GBS you wont be thinking about the cold but rather focusing on your riding. The pattern finish panels also look really nice and feel great on the skin with the warm interior linings. The Mystic Drip 4mm Short Leg suit is practical for many "English Summer" conditions where a shorty isn't enough when your out all day on the water. A bit more insulation slightly longer leg and fluffy linings make this perfect for most summer to autumn conditions.